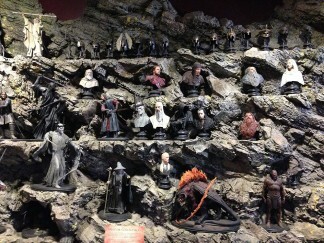 We visited the Weta workshop and went on a tour of how they made movie magic. They use 3D printing to create prototypes of designs for the great variety of movies. These also include Avatar and Planet of the Apes. Incidentally, with final Hobbit and Lord of the Rings movies, Wellington is known as the Middle of Middle Earth. 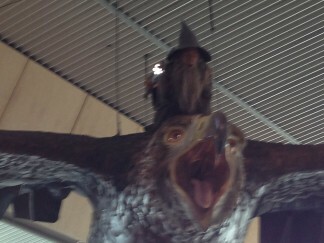 On arriving at Wellington airport, you met by gigantic eagles carrying Gandalf, the wizard, and a huge Gollum, trying to catch large fish, hanging above you. New Zealand scenery is Middle Earth. Our hosts showed us around their capital city and we had a great dinner in a wonderful and quirky restaurant called Havana. It’s near Cuba Street! It even has a bookcase that opens as a door, concealing the toilets. Every parent should have one at home, to get some peace and quiet from the children. Since the Christchurch earthquake, Wellington has been strengthening itself. Buildings now have a date of when they were built AND a date when they were strengthened! Even sky bridges between buildings, are being removed as they believe them to be an earthquake risk. We visited the world famous Te Papa museum on the harbour front. It contains a giant squid with eye balls as big as a soccer ball. It has talons with a joint, on the end of its tentacles. It was latched on fish caught on a deep sea fishing line. The scientists have never seen anything like it. Here is the dental bit. 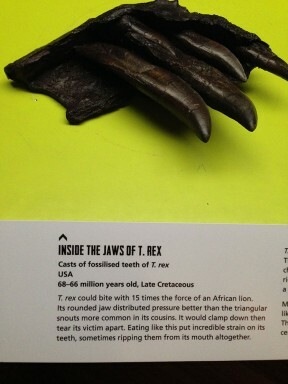 There was a dinosaur exhibition which showed the various types of jaws and teeth. They now believe non flying dinosaurs had coloured feathers. They now are able to determine the colours of these feathers. There is even a group called mammal like reptiles. The more we know the less we know! 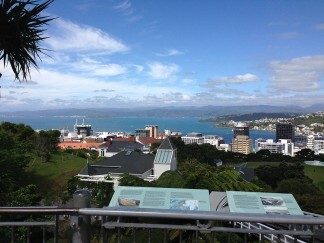 Thanks to our hosts in Wellington, to New Zealand and to Peter Jackson.